Lauren Janes, Phd. is an Assistant Professor of History at Hope College in Holland, MI. 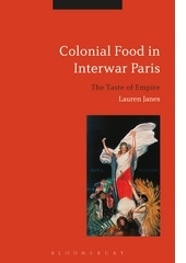 She is the author of Colonial Food in Interwar Paris: The Taste of Empire (Bloomsbury, 2016). We haven’t heard a lot in the U.S. about the far-right anti-immigrant Front National since their leader Marine Le Pen lost the French presidential election to Emmanuel Macron back in May. But the Front National is still in the news in France, mostly for growing divisions within the party over tone and substance: should the party distance itself from its anti-Semitic, anti-Muslim, and anti-immigrant image? Enter #CouscousGate. The photo at the couscous restaurant, though it didn’t even have couscous in the picture, launched a backlash online. Couscous is a North African dish, which is very popular in France, but some commenters decried couscous as inappropriate for patriotic French politicians. A good dinner in Strasbourg, these internet critics claimed, was of traditional French fare, especially the Alsatian regional specialty choucroute garnie: sauerkraut served with sausages and other meats. #CouscousGate highlights the powerful role of food in marking the boundaries of French identity, a recurring theme in French politics over the last decade: In 2009, the Le Quick restaurant chain attracted criticism for serving all halal meat at eight of its fast-food restaurants. Pundits and politicians criticized Quick for “forcing” its customers to eat Muslim meat, as if halal meat was somehow inappropriate for non-Muslims. During the 2012 Presidential campaign, a television documentary made big news by “exposing” that all of the abattoirs in Paris used halal slaughtering methods and didn’t label all their meat halal. In 2015, the mayor of Chalon-sur-Saône attracted national right-wing political support when he ended the town’s 30-year-old practice of offering an alternative main dish to Jewish and Muslim students on days when the cafeteria’s main dish was pork. Eating “French” food, including pork, was portrayed as an essential part of learning to be French in French schools. 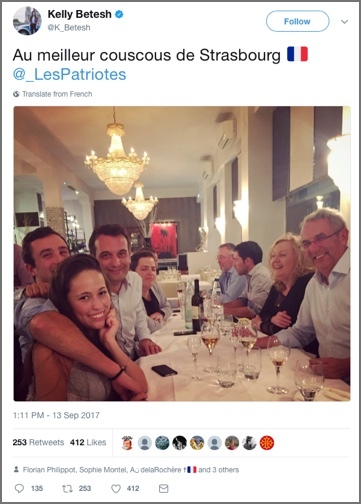 With all of this political hype over Muslim diets, perhaps we should not be surprised that, in January of 2016, socialist French President François Hollande never shared a meal with Iranian President Hassan Rouhani when Rouhani visited Paris, because Holland would not agree to host a halal meal without wine on the table. These seemingly silly political scandals point to broader truths about how we identify ourselves as members of nations and communities through food. Who is really considered French? Whose voice, culture, and customs can be included in the nation? It’s not a new question; it was being debated through food in the first half of the twentieth century as the French debated the role of the overseas French empire in contributing to and shaping France. Some government and business leaders attempted to convince the French to accept and integrate foods from the colonies into French diets. While some ingredients were accepted around the margins, such as tropical fruits incorporated into desserts, other colonial foods couldn’t cross the boundaries of French identity. Attempts to promote rice from Indochina, for example, failed, in part, because many French people thought rice an inappropriate food for Europeans as bread-eating people. Algeria—home of couscous—was part of the French empire for over a century, and the two countries continue today with an important exchange of goods and people that has shaped both cultures for 200 years. Why does its cuisine still occasionally invoke such visceral political controversy? In part, because food is so meaningful. What we eat and with whom we eat is an important way in which we construct group identity, to define who we are and with whom we associate—and therefore is a way to delineate difference and place others outside our identity group. In the current context of anti-immigrant sentiment and Islamophobia in France, these questions of boundaries and identity keep coming up, and so food choices carry political meaning. Food traditions can be wonderful and powerful ways to celebrate who we are—our identities as members of families, communities, and nations. Yet food also has the power to mark the boundaries of those identities in ways that can keep us from creatively expanding and redefining them. Despite America’s long history of immigration, we aren’t immune to marking the boundaries of acceptable American culture through food. Remember #tacotrucksoneverycorner? When you see headlines and hashtags about political food choices, remember the power of food to include or divide.